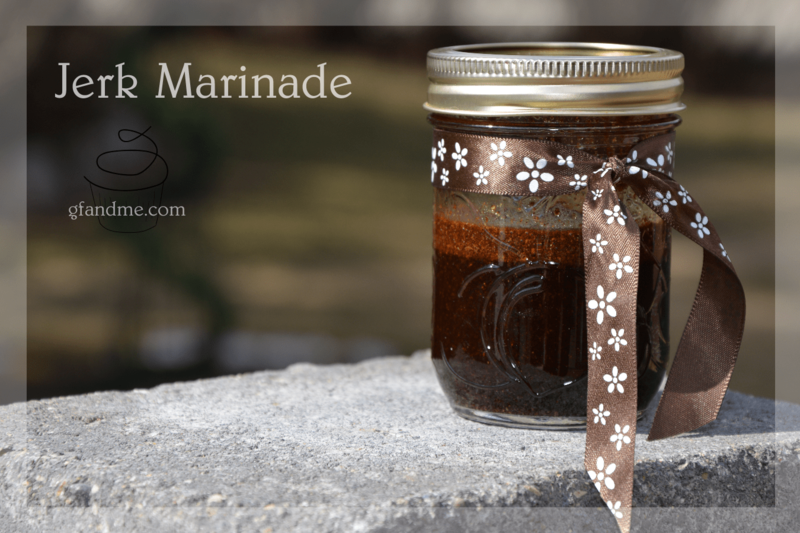 gluten free jerk marinade: great for barbecue season! More spicy than hot, this gluten free jerk marinade brings together the flavours of allspice, cinnamon, and nutmeg with citrus and a hint of pepper. It’s also easy to throw together. Mix it up and toss it in a sealed container with some chicken or pork in the morning and that night you’ll have a sweet & savory dinner ready in under 30 minutes. It also makes a great hostess gift for those summer bbq’s. Mix it up in a mason jar, tie it with a pretty bow and top it off with cooking instructions. You’ll most certainly be invited back! Gluten free onion soup mix – you won’t know how you got by without it! Mix all ingredients together. Store in sealed container for up to one week in refrigerator. To use, toss with two to four chicken breasts or pork chops in a tight fitting sealed container and refrigerate for at least 20 minutes. Be sure to give it a shake once in a while so that all of the bits of meat get coated with the good stuff! Grill on low on preheated bbq, turning every 5 minutes until finished. It should take about 20 minutes depending on the cut of meat. This entry was posted in Lunch and Dinner, Recipes and tagged BBQ, gluten free, meat. Bookmark the permalink. I had no idea soy sauce could contain gluten! Great marinade. I could see swabbing it on a veggie kabob and certainly dipping fish in it. Yum! Thanks Beth. On grilled veg this would be fantastic! And yes, unfortunately most soy sauce contains wheat.